Lori Prado, LMHC, LPC-S, CEDS, is a Senior Clinician and one day Trainer in Radically Open DBT (RO DBT). She began her training with Dr. Tom Lynch, developer of RO DBT, in 2015. Since that time, Lori has continued to attend intensive trainings and receive supervision from Dr. Tom Lynch with the Senior Clinician team. Lori is also involved in research, teaming up with Dr. Karyn Hall, Dr. Kirsten Gilbert, and Dr. Carla Sharp to research the biosocial theory of RO DBT. Lori is currently the lead of the app development committee for RO DBT. In her clinical work, Lori is founder, president and senior clinician at the Center for Dialectical and Cognitive Behavioral Therapy (CDCBT) in San Antonio, TX, a center dedicated to evidence-based care. She specializes in personality disorders, eating disorders, and treatment-resistant disorders. 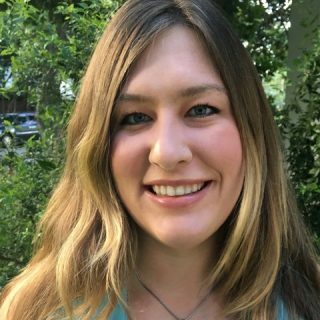 Prior to opening CDCBT, Lori developed and served as program director for the Family Centered DBT Program at Eating Disorder Center at San Antonio (EDCASA), now ERC San Antonio. She also developed the body image curriculum used by EDCASA between 2012-2016. Lori, along with Tere Rivera, RD, FAED and Kay Watt, LPC-S, CEDS, developed Wise Mind Eating protocol that is used at ERC and has been presented internationally. Lori graduated from Loyola College in Maryland with a M.S. in Pastoral Counseling. She has completed her Intensive Training and Advanced Intensive Training in DBT as well as received training in trauma work with Marsha Linehan, PhD. She has received training from Carolyn Becker, PhD in body image, PTSD, and Cognitive Behavioral Therapy. Lori is a former co-chair for the DBT special interest group at the Academy for Eating Disorders. She is also an active member of the Association for Cognitive and Behavioral Therapies, where she has been on the Program Selection Committee from 2015-present. Lori has presented at the local, national, and international level on topics related to Eating Disorder Prevention, Wise Mind Eating, Dialectical Behavioral Therapy, Radically Open DBT, and Parenting.